Is it snowing in Eplény Síaréna ?¡Gracias! 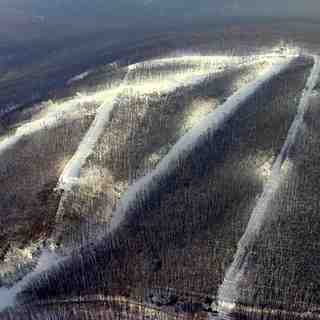 Epleny Siarena (or Eplény Síaréna) in Hungary is a medium sized ski resort with 6 ski lifts (1 chair lift, 5 surface lifts) but it only has 180 metres (590 feet) of vertical descent. 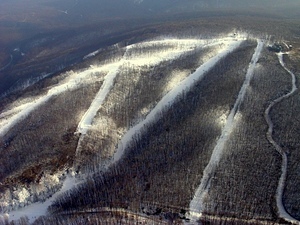 Epleny Siarena (or Eplény Síaréna) has 5 pistes. 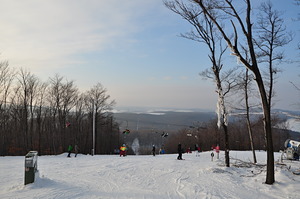 Epleny Siarena is best suited to beginner skiers and snowboarders but there is some terrain for both expert and intermediates. We have no information about the existence of any cross country ski trails at Eplény Síaréna. 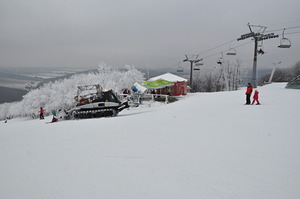 All of the pistes at Epleny Siarena (or Eplény Síaréna) are covered by snowmaking. The nearest airport is at Budapest and the nearest train station to Epleny Siarena is at Eplény. There is accommodation located close to the pistes but we would welcome additional information about any hotels or chalets in Epleny Siarena. Fantastic! 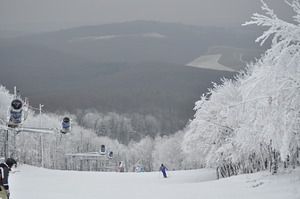 Friendly staff, great chairlift to top. Good value and no queues.